Snapchat is a social network of over 178 million daily active users worldwide. It’s an app mainly focused on video and photos, which disappear after 24 hours, or instantly after they’ve been watched. On the platform. you can send snaps to your friends, as well as share ”stories” on your profile, which your friends can watch an unlimited amount of time for 24 hours, after which they disappear. Snapchat is a social media platform that is just a baby compared to its competitors, however, it gained traction because it offered something that that many people were crying for – being able to send content that disappears. As the social media platform has evolved and grown, new features has been introduced, the number of users has increased, and ads have been introduced on the platform that for a long time hasn’t been profitable, and been bleeding money. With over 178 million active users, Snapchat is a social platform where people’s attention is. And as a result, this has attracted many brands and marketers to the platform to reach and engage with their audience. Because marketers trade on attention, and if you can access it, Snapchat has no lack of it. Apart from all the face filters, stickers, filters etc., Snapchat is a great platform for marketing. The best part about it is that relatively few brands are on it, which means the platform is far from saturated by marketers. By leveraging Snapchat for marketing, you can in that way avoid all the noise, but still get a direct channel to your audience’s attention in their phone. While Snapchat is far from as saturated of marketers and promotion as platforms like Facebook and Instagram, many brands have also realized the marketing potential that Snapchat carries, and therefore implemented it into their marketing strategy. This goes for everything from startup brands to industry giants like GE and Starbucks. In this complete article, you’ll learn all about marketing Snapchat and how you can leverage Snapchat for amazing marketing results. But first, let’s look at the reasons why marketers should be using the platform. This is going to be interesting, so prepare a coffee and hold on tight. Well, the most obvious answer is that people’s attention is there. And as a brand and marketer, you are always trying to figure out where people’s attention is, and how you can reach them. Before you can tell people how awesome you are, why people should buy from you, how amazing your products is, or why people should sign up to your newsletter, you need people’s attention. As brands, we’re battling for people’s attention, and what Snapchat does, if you learn how to leverage Snapchat for marketing properly, is it gives you a few seconds of your customer’s attention. And in marketing, every seccond matter. When it comes to marketing on Snapchat, the most common question is ”Why should we use Snapchat for marketing”?”. And no matter where that question refers to – it can be TV, print, Instagram, Google ads, it’s all about attention. Then, of course, there are other factors that affects whether or not the marketing source you’re planning on investing in is worth it, for you, for instance your target audience (which we’ll talk more about soon), the ROI of the platform, the cost of getting people’s attention, and so on. Is it overpriced or underpriced attention. You always want to be looking for attention arbitrages – something that Snapchat ads are. But let’s look at the basic numbers so we can get a hunch about how powerful Snapchat really is when it comes to attention. First off, Snapchat’s users watch over 10 billion videos every day. If you as a marketer can present your audience with appealing and interesting videos, you can become a part of that 10 million. The second reason you should be using Snapchat is because of their ads. In June 2016, Snapchat introduced ads on their platform, after being solely financed by investors for several years. The ads come in different forms, which I’ll go more into detail on further on, however, they are great for brands that want to increase their reach and get in front of more people. And the best of all, since most brands are a bit careful, or more correctly slowly operating, few brands, compared to the more famous social platforms are using Snapchat ads. As you can understand, this means, in theory, that the demand for Snapchat ads among brands is relatively small, which, in turn means that the cost of them is still relatively low. 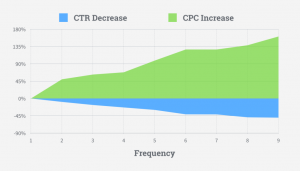 We can see that the price of Google ads keywords (among many other marketing sources) have increased quite significantly over the years because the competition of people’s attention is increasing. When more brands are battling for the attention of their audience, the cost of the ads will increase. The principle of supply and demand goes for attention, too! The bottom line of Snapchat ads is that brands aren’t yet pouring tons of money into Snapchat yet (some obviously do) because they haven’t realised the true potential and power of Snapchat. But when they do, they’ll be investing their money there, and the cost for people’s attention will increase. It’s not that Snapchat ads won’t be profitable when they do, I mean, just look at platforms like Facebook and YouTube, however, the numbers won’t be as incredible as they are today, or as they were when ads were first introduced. But more on how you can leverage Snapchat ads further on. You might think we’re done, but I am just getting started with the benefits, and the statistics of Snapchat for marketing that proves its power, because trust me, there are plenty. Snapchat has more users than Twitter, and grew as much in one year as Twitter did in four years total. Snapchat is often referred to as a ”baby” and a social platform that isn’t worth paying attention to. In other words, just like most other social media platforms have been viewed, until people have realised that they aren’t just fads. But the thing is, many of the people who say thAT Snapchat isn’t something brands need to pay attention to are also people who are using Twitter – a platform with fewer users. Another interesting statistic worth paying attention to is this: 76% of Snapchat users are online shoppers. Chances are, if you’re a brand that is looking to promote yourself on Snapchat, the people you are reaching are online shoppers who are ager to buy the things that spark their interest. When talking about Snapchat and marketing, It’s hard to not talk about the fact that the competition is lower. And remember that this doesn’t just go for if you are paying for ads on Snapchat, but this also goes for gaining traction organically on the platform. If you can create amazing, high-quality content that resonate with your audience, you will succeed. Social media in general, is a tremendous way for brands to reach their target audience. But as good as it is, succeeding on social media isn’t the world’s easiest task. And it especially isn’t the world’s easiest task when the competition is tough. But when the competition isn’t high, it is much easier to gain traction, and this is the state that Snapchat is currently in. I remember when I first started using Instagram in it’s early days. And I can tell you that it is a huge difference between gaining traction and getting people’s attention back then, compared to how it is today. Authenticity is another important word for Snapchat. Different from most other social media platforms, Snapchat is one of very few examples of platforms that feel authentic. Snapchat is more about here and now than what it is about pictures edited to perfection, and it’s more of a platform that’s made to take people ”behind the scenes”. This is something worth considering as a brand, since leveraging this will take you a long way. The edits and filters on Snapchat aren’t there to make things more enhanced, higher-quality, and to meet perfection, but more so, they’re there for you to create something unique and fun, and to put your own twist to the content you share. The best part about this ”raw” and ”unedited” nature of Snapchat allows marketers to show the personality of their brand in a completely new way, and to present things that don’t people normally don’t see, which will help you build a better and closer relationship to your audience. In other words, Snapchat will help you humanize your brand and make it more authentic, compared to what the majority of other platforms are doing. The last benefits and reasons that you should be using Snapchat is that it is free and different. With Snapchat, you can reach success without investing anything else than your time. Sure, leveraging ads and influencers, as well as paying to boost your reach is beneficial, but you don’t have to if you don’t want, or don’t have the budget for it. What’s more, due to its unique nature, Snapchat allows you to create a new type of fun and engaging content, which means that if you can produce appealing quality content, you’ll be able to attract an audience, or attract your current social media audience form other platforms and show your authentic and transparent side. What people are using Snapchat? The first question marketers often ask when they’re not completely familiar with Snapchat is ”why should we use Snapchat for marketing?”. And the question they then ask is ”Is Snapchat for me?”. Obviously, the statistics and numbers of something can look highly impressive and powerful, but just because the numbers are promising doesn’t mean that you will be able to reach those results. The statistics of Snapchat can look appealing, but if your target audience isn’t to be found on Snapchat, then what good will the platform do for your brand? This is the single most important thing you want to look at, before investing a dollar in any marketing source. If you won’t be able to get the attention of your target audience, you’ll be better off focusing on other scoures. So what about Snapchat’s user demographics? It’s well-known that Snapchat has attracted a younger user base. This is why Snapchat is tremendously popular among brands who are targeting millennials. As the graphic shows, Snapchat’s users are primarily women under the age of 25. While there’s an overrepresentation of women, 30% of Snapchat’s user base is quite a number, too, which means that even if you are targeting men, you have the potential of generating great results. Recent reports, however, has shown that Snapchat’s user base is growing in age, which means that even if you aren’t targeting millennia, you might still be able to see success on the platform. This is why it is important that you look at the demographics of Snapchat regularly, because things change, and on social media, they can change rapidly. In fact, 50% of the new users on Snapchat are over 25 years old. But at the moment, millennial is what most of Snapchat’s user base consists of. 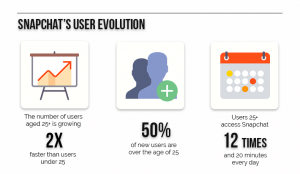 Moreover, 37% of are 8-24 year old, with 71% of its users being under the age of 25. What’s more, over 60% of 13-34 year olds in the US with smartphones use Snapchat. If your target audience is to be found on Snapchat, I’d definitely advice you to take advantage of the benefits that Snapchat carries, but if your target audience isn’t to be found on the platform, I’d instead advise you to focus your efforts elsewhere. 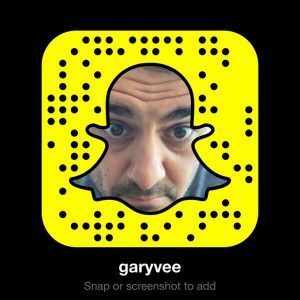 With that said, let’s dig into the nitty-gritty of marketing on Snapchat, and how you can use the platform to generate amazing results. Before you can begin using Snapchat for marketing, it’s important that you know the basics of how it actually works. Snapchat offers different features, different types of posts, as well as settings you can use, and all of these can have an impact on how your campaign performs, and how your audience resonate with your content. Snapchat currently supports four types of content, or ways you can manage and share your content. First, there are regular images. Images can be taken directly from the app with a simple press of a button, or, they can be uploaded directly from your photo library. Snapchat only presents images in portrait format, which means you won’t be able to upload and share any landscape images, or photos that have different formats than portrait format. With photos, you can share both pre-edited photos, or just share raw, unedited ones. Some people mean that being able to upload photos from your photo library takes away some of the ”charm” of authenticity and ”in the moment content”, however, there’s clearly a demand for being able to upload and sent old photos from your photo library – something that wasn’t possible earlier. The second type of content is video. Just like photos, you can both create videos on the spot, as well as upload videos from your camera roll. Thirdly, we have so-called snaps. Snaps, also what came to give name to the social network app are photos or videos that you send to specific users. When you send snaps to people, you can set a clock on how long they’ll be able to watch your photo, for instance three seconds, all the way up to 10 seconds, and then, of course for an infinite time. When you share photos or videos from your photo library, however, it will end up from inside the chat, which means they can watch it how many times they’d like – until they leave the chat, unless they save the photo or video from inside the chat. When sending snaps, you can also open the chat belonging to an individual friend or group, where you can chat with people in real time. Stories are videos or photos you upload to your profile which all of your friends can watch for 24 hours before they disappear. This is the method that brands use the most, because it allows for mass-distribution and reaching (almost) all of your followers at once. You can edit your Snap in a number of ways. You can edit your snap in many different ways. 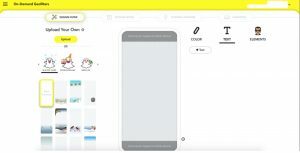 One way is with drawing tools, that allow you to draw on the snap you’re about to post or send, and when doing so change the broadness, change brush, color, and much more. Another way is to add text to your snap, which you can then change the size and color of. Moreover, you can add all your regular emojis to your snap and enlarge them, shrink them and rotate them. You can also use different stickers that Snapchat offers. Another way to edit your snap is to add filters and location filters. But hopefully, you’ve gained a better understanding of Snapchat, if you didn’t have a lot of knowledge about the platform since previously. How you can leverage Snapchat for marketing. Before you begin with any marketing efforts, it’s important that you have a strategy in place that is going to tell you exactly what you are going to do and how you’re going to do it. Having a strategy is mainly important because it ensures that you are working towards your goals. If you don’t have goals with your marketing efforts, and have a strategy that clearly tells you how you’re going to work to achieve them, and what efforts you’re going to focus on, there’s a risk that you’ll end up doing things that aren’t bringing you closer to your goal. Snapchat can help you generate results within several different metrics, but it is important that you don’t spread yourself thing by trying to do a ton of things at once. Instead, it is best to focus on two main objectives with your efforts on Snapchat so you don’t spread yourself thin. But remember that Snapchat is mainly unique because it allows brands to be unique and authentic, and ideally, you should take advantage of this personality of Snapchat in order to humanise your brand and present yourself with more personality and make yourself more approachable. You also have to realize that things work a little differently on Snapchat, and this is yet another reason a separate strategy is in place. Snapchat isn’t, for instance Instagram, and this is why it is crucial that you don’t have the same strategy for Instagram and Snapchat. Something to have in mind is that Snapchat is not about going viral. Because really, it isn’t really possible to do so. On Snapchat, you cannot gain likes, no comments (except for private messages). And since messages aren’t public, there is no social proof. This is also the reason why marketers are a little scared of it. Snapchat is a platform where you have to do things differently if you’re going to succeed. The foundation for success on Snapchat is, as a result of all this, that your main objective with Snapchat is to build a large audience, and by sharing content with them, reaching them time and time over. You don’t have to spend hours with developing your Snapchat strategy. 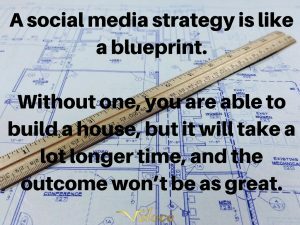 However, even just a few minutes invested in developing your social media strategy are minutes well-spent, because having developed a strategy will save you time further on. See your Snapchat marketing strategy as your blueprint and road map. You will be able to manage working without a strategy, but it will take a much longer time, and the result won’t be as great. What are your goals with snapchat? How will you reach those goals? What are you going to do to achieve those goals? How are you going to evaluate results? I’ve already talked about some of these points, and the rest of the questions, I’ll get more into detail further on, so you don’t need to answer them right on the spot. Snapchat is a great platform for distributing coupon codes to your audience. There are tons of ways you can leverage this method to both grow your audience and engage your fans. One way you can use coupons to engage your audience is to ask people to send you snaps of themselves with your products. Now, because the Snaps aren’t public like they are on other platforms, when your fans share content to you, you will be the only one who sees it. Except for if you save them, of course. The first approach you can take to coupon giveaways is to just give them away to anyone who sends a snap to you. You don’t need to have to make it more difficult than that. Will you make the people who aren’t customers of yours disappointed and feel left out, or, will you encourage people to buy more from you? If you’re using the latter approach, why not take advantage of the content that your fans send to you? That way, you can still leverage the power of user-generated content by sharing the content on other social platforms, or on your Snapchat story with all of your other followers. If you’re going to save the user-generated content your audience sends to you, make sure you have permission to do so. A benefit of handing out coupon codes through Snapchat is that they are traceable. When you hand out coupons, you can see exactly how many people are using them, and as a result see how effective they are. As you’ll find out further on, measuring results is quite difficult on Snapchat, so tracking your sales with customised coupons is one way. Since Snapchat allows you to bring your audience closer to you, and engage with them on a much more personal level than other platforms, it is great for building anticipation and buzz for campaigns or products launches. TacoBell is a prime example of a brand that has had tremendous success, and that is killing it on Snapchat. They are a fun and engaging brand, and a big part of their customer base consists of millennial, so anything else would be strange. TacoBell built anticipation when they announced their new breakfast menu. To build anticipation, you can share exclusive sneak-peaks and let your audience on other social media platforms know that they can learn more about your new launch if they add you on Snapchat. Apart from building anticipation, it is also a tremendous way to build your audience and then when you do, be able to reach them time and time over. What’s more, to build anticipation, present all the benefits that your new product brings to your audience, without necessarily revealing what it is. For instance, share daily snaps explaining how your product solved a pain point that people have. People have a short attention span on social emdia. This means that you need to use every method possible to clench onto your audience’s attention and keep them engaged. One way to keep your audience engaged is to provide cliffhangers. For instance, share snaps where you write ”stay tuned for more” or ”come back tomorrow to find out”. You want to do this frequently as people will otherwise forget about you. If you’re creating cliffhangers, you need to actually live up to the promises you are giving. If you promise your audience that you’ll provide something super interesting, then you need to provide something that lives up to your promise. Otherwise, you’ll lose trust, and no-one will get back to see what you have to offer. In case you didn’t know, swipable links are now available to send with your snaps. This is tremendously valuable for brands that want to generate more marketing results through snapchat than to just increase brand awareness. Snapchat haven’t had links before, but after Instagram announced it to their Stories feature, which is accused of being a rip-off from Snapchat, Snapchat also implemeneted it to their platform. Now, you can create a snap, and then in the top right corner, you’ll find a chain icon where you can paste the link to your site. When people watch your stories, they can they swipe up on the screen to get to the page you’ve linked to. This feature allows you to integrate your snapchat with other marketing efforts, and most importantly, use Snapchat to work towards metrics you want to generate results in. It also allows you to offer your audience a more seamless experience, compared to iff they have to google your website and then look up the page you were talking about, whereas now, people can just swipe up and seamlessly get to the page you want. If you ask me, one of the most important parts of generating amazing marketing results as a business is to build strong relationships with your audience. ”people have to trust you, your product, and the brand that is behind the product”. If your audience don’t trust any of those, or not all of those, you won’t be able to drive any sales, which ultimately is your goal, right? The good news is that Snapchat is one of the best ways to engage with your audience and improve your relationships with them. It allows you to be intimate with them – talk to them on a much more personal level one-on-one. With Snapchat, there isn’t really a thing called social proof etc. When someone writes to you and complains on other social platforms, it is open for the world to see, but if they write to you on Snapchat, they write to you directly, and no-one except you will be able to see it. This demands a different approach and strategy than marketers that have been operating on other social media platforms are used to. This does of course not only go for complaints, but more so, all of your customer interactions. 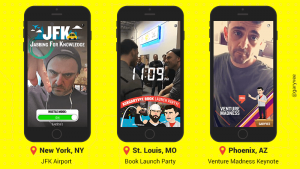 The best part is that Snapchat allows for one-on-one interactions with your audiences dn this is something that is tremendously valuable for brands. It’s one of the best ways to build genuine and deep, engaging relationships with your audience. Share snaps that encourage your audience to write to you, and reward those that do. Another thing you can do is to encourage your audience to write to you on Snapchat if they have any complaints. By doing so, not only do you make the conversation more intimate, and therefore less likely to get angry, because they’re talking to you one-on-one, but you’ll also avoid having people going around talking trash about your brand on social media – harming your reputation. With this approach, you can quickly identify any problems and solve them before someone else experiences them. Therefore, take advantage of the biggest benefit that Snapchat has, and actively use it for engaging with your audience. One of the best benefits of Snapchat is that it allows for unedited and raw content. It doesn’t need to be polished to perfection, and show the finished product in all its glory. This is why Snapchat is so great for sharing behind the scenes content. When you share behind the scenes content, you humanise your brand and make it more appoachable. Instead of showing yourself in a light of pure perfection, you can use Snapchat to show how the finished product that your customers can buy became what it is now. People love seeing what is happening behind the scenes, because it allows them to see what it ithat makes the brand they loved nd what has gone into creating the prodcutes they are using. What’s more, few brands actually don’t dare to show what is hiding behind their beautiful and perfect facade because of fear that it will make them seem unprofessional, but the truth is tactually that sharing behind the scenes content with your audience is tremendosuly valuable and powerful in marketing, and those who do it see great results, and that they are closing the gap between brand and customer. By showing sneak-peaks and behind the scenes content, you can build anticipation and get your audience excited. What’s more, by showing the process of the product creation, you can make your customers feel more pride when using your products. On their Instagram, they never show the finished product, but instead, they take the opportunity to show the complicity of the process of creation. Never forget that Snapchat is a platform known to be fun and engaging. It’s transparent, casual, and fun. People go onto the platform to have a good time and be entertained, and that’s exactly what you should give your audience. Take advantage of the different filters and face filters that are at your disposal, draw on your snaps, and use emojis and stickers. And above all, don’t take things too seriously! Snapchat is one of the best platforms for showing your brand’s personality and showing that there’s more to it than just a brand and a logo. Remember that people build relationships with humans, not fancy logos and brand names. And by leveraging the fun atmosphere that Snapchat has, you can build better relationships with your audience that lead to long-lasting customers and loyal advocates of your brand. Showcase your brand and its personality, and don’t worry if your content isn’t edited to perfection, because people don’t expect it to be! In case you’re unfamiliar with influencer marketing, I’d be very surprised. But since I am here for you, let’s look at what they are and why influencer marketing has gotten such immense attention over the last couple of years. Influencer marketing is the use of influential individuals, mainly on social media (social media influence marketing) in marketing and when promoting products. 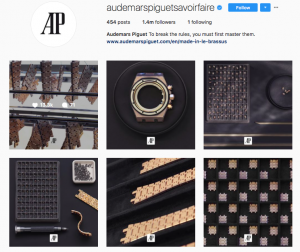 Influencers have built an audience of engaged, targeted and relevant followers that trust the words and recommendaations of the influencer, and when they recommend something, their message has a lot greater impact than that of a brand. Because people trust influencers far more than they trust brands. After all, people know brands have one goal and one goal only: to sell more. But influencers don’t have that agenda. At least not in theory. 6 in 10 follow advice from their favourite creator on what to buy over recommendations from celebrities. By partnering with influencers on Snapchat, you can reach a ton of people in a short period of time, and grow your following immensely. Something that is hard to do on Snapchat, considering it doesn’t offer the same oppportunitites to grow your following as other social platforms. But by partnering with influencers, you can gain instant traction by piggybacking off of their audience. An example of a brand that has partnered with Snapchat influencers is Audi. Their objective was to reach millennials, and so they partnered up with the show Pretty Little Liars, a series which is tremendously popular ammong the millenial audience. They then shared a series of snaps where they asked their viewers to tweet what they thought were going to happen on the show’s season finale. As a result of this, Audi gained over 115,000 followers on Snapchat. This is just from one influencer partnership alone. If you don’t want to partner with an influencer in the way that they just promote you, you can instead have them take over your snapchat account. By doing this, people will be eager to come to your account to see what the influencer they look up to is up to. Adidas did a Snapchat takeover where artist Pharrell took over their snapchat during an event, and the result was that their story reached over over 3.4 million views in 24 hours. Obviously, as a smaller brand, reaching out to giant celebrity influencers isn’t the easiest thing in the world, at least if you think about cost, but that doesn’t mean that you cannot partner with influencers. In fact, there are tons of smaller influencers that still have an engaged audience that can draw you tons of results. It might be smaller but it can still drive results. If you need help identifying influencers, you can take a look at our influencer directory. Veloce Network. Urgency is a great way to encourage your audience to do something for you. And since your stories are only up for 24 hours, you create a sense of urgency automatically. Urgency also goes for getting your audience to view your stories, and this is a huge benefit of Snapchat. People know that the snaps will disappear after 24 hours, giving them no oppourtinty to ever see it again, and the fear of missing out will make people watch the majority of the stories in their list. 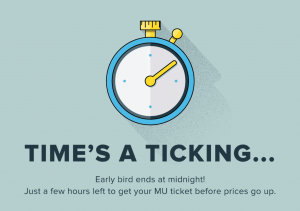 To further create urgency, you can, of course, include a call to action and make it appealing by creating a stunning and attention-grabbing design. You don’t build a following on Snapchat the same way you do on other social platforms. 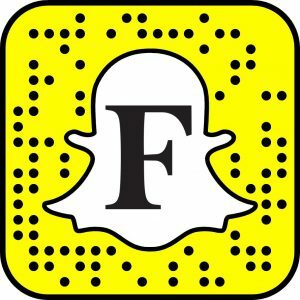 I’ve spoken a lot about ads on Snapchat already, and that’s because it is a great way to gain traction for your brand. The platform offers a variety of different paid advertising options that can help you reach the marketing objectives you have set. Snapchat allows you to create Sponsored geofilters, sponsored lenses, or snap ads. Snap ads are 10-second videos that appears between stories, and this type of ad is great for grasping the attention for your target audience. When creating this ad, you have the opportunity to allow people to swipe up on your ad to get more information, or to perform an action, such as download an app or purchase a product. This shows that the engagement on Snapchat is high compared to other social media platforms, meaning you can generate better results at a lower cost per action. Moreover, Snapchat partnered with MediaScience to survey 320 consumers aged 16 to 56, which compared Snapchat video ads on TV, Facebook, Instagram, and YouTube. Snapchat says its ads garnered twice the visual attention of Facebook and 1.5 times more than Instagram. They were also 1.3 times more effective than YouTube. When compared to those platforms and TV, Snapchat also claims that they generated a much greater emotional response and twice as much intent to purchase. We have to remember though, that Snapchat’s ads were new when this study was done, and everyone are always more curious to something new, as opposed to things they’ve seen a million times before. When Snapchat first announced their ads, it wasn’t very developed, and creating an ad wasn’t as easy as marketers were used to, on platforms like Facebook and Instagram. Clean & Clear launched an ad on Snapchat ad on high schools and college campuses to give its audience a way to frame their selfies and send them to friends. Sparkling bubbles and the positive message “Face so Fresh” resonated well with Snapchatters. Additionally, the creative’s Clean & Clear logo helped increase Brand Awareness among Snapchatters who both used or received the Filter. As a result, they reached 40 million people, as well as increased brand awareness among female snapchatters 13 to 24. There are two ways you can run ads on Snapchat. The first way is to create a sponsored filter, and the second method is to run a video ad that shows up in between stories you watch. Ad filters on Snapchat are called geofilters. The sponsored filters shows up in a specific area that you decide. The larger the area that you make your geofilter available in, the more people you’ll reach, and the higher the cost will be. Snapchat currently offers two types of custom geofilters. But for the vast majority of brands, there’s only one type of ad format that is reasonable, because the other one is ”caffe in your throat” type of expensive. In other words, something that only major top brands will be able to run. Sponsored lenses are estimated to cost between $450,000-750,000, and will only be active for 24 hours. On-Demand Geofilters, start at $5, and then you have the much pricier option option of Sponsored Geofilters, which can cost hundreds of thousands of dollars. Geofilters are a highly popular type of ad filters that you can see major brands using, as well as movies that are coming up in theatres. The process for creating a geofilter? The only type of Snapchat ad the majority of brands will be able to run on Snapchat are geofilters. Remember, though, that they are only affordable if you run the filter for a short period of time, and make them available in a small area. On-demand filters can quickly get expensive, too. If you want to get started with your on-demand ad filter for your business, you can get started here. And as seen in the image above, click ”create now” to get started. When you’re satisfied with your design, tap net in the bottom right corner. Now, you need to choose dates for how long your filter will be live. Next, choose the location you wish your filter to be available in. Remember that the larger the area, the higher the cost. Then, proceed to checkout and find out how much it costs for you! If you’re satisfied, submit and order. As you can see, geofilters are art designs that you add in the form of a filter that shows up on top of your photo or video when snapchattes are in the location whrre the sponsored filter is activated. Not only does the brand benefit from just getting people to see their filter, but most importantly, people are using the filters and sending snaps to their friends with the sponsored geofilter, leveraging the people to spread the word about the brand. Sponsored lenses are not like filters. Instead lenses are face filters which adds different designs and interactive components to your face or screen. This is great, because when you engage your audience, and get them to do something, they’re more likely to become loyal and engaged, and get impacted by your message than an ad. And when you create an ad that brings the Snapchat users value by being fun and engaging, they’re more likely to use it more, which means better marketing results for you. 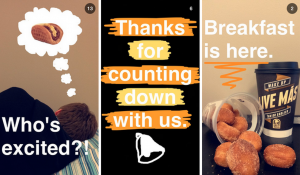 For cinco de mayo, Taco Bell created a Snapchat lens ad filter that was widely popular because the day of its introduction was spot on. 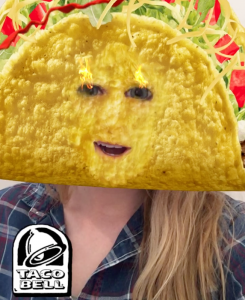 In fact, Taco Bell’s Cinco de Mayo Snapchat lens was viewed 224 million times, making It the top campaign in the app’s history. 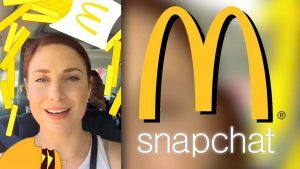 Ryan Rimsnider, senior manager of social strategy for Taco Bell, said that his team spent six weeks working directly with Snapchat to create the lens. Adweek has previously reported that the ad format costs $750,000 for holidays and big-ticket events like the Super Bowl. Taco Bell’s Snapchat lens was viewed for an average of 24 seconds by the users, before it was sent off as a snap. This is great, considering that on average, Snapchatters play with a Sponsored Lens for 20 seconds. When it comes to filter, there are two types of filters: on-demand geofilters, and community filters. On-demand geofilters which you’re an expert at by now, and community filters. The difference between the first and the latter is that anyone can submit community Geofilters for free, but they can’t have any branding on them, including logos. With on-demand filters, on the other hand, both businesses and individuals can purchase filters for the location of their event promotion, etc. Snapchat has slowly but surely been developing their Discover ”portal”, which is the place you come to when swiping down on your screen, or swiping to the full right. What the Discover portal is is a place where Snapchat presents media content from various top players in the game, but they do som in an easy digestible format. And you might wonder if Snapchat is working to become a news company where people go to get their news – which they are in a way, but only the future can tell us what will happen, and for Snapchat, I have no doubts that a lot of new things will come. 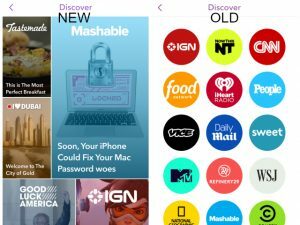 At the moment, the Discover function is limited to a handful of top media companies, but Snapchat is ”exploring new ways to open it up to more businesses in the future”. Getting seen here is only for brands with deep pockets, though. In fact, each view costs $0.02, but it quickly adds up, and the minimum invested is $40.000, and it will be up for 24 hours. Like on most social media platforms, followers are a huge deal. In fact, followers on Snapchat is probably more important than on any other social media platform. If you don’t have any followers, you’ll have no-one who will see your snaps and stories. Moreover, since Snapchat is quite different than most social platforms, growing an audience organically by just waiting for people to come isn’t the best strategy. With Snapchat, you need to actively work to increase your followers. Growing your audience is the best way to use Snapchat for marketing without having to spend money on ads. By getting more Snapchat friends, you can reach and impact them time and time over. Snapchat lacks the ability to going ”viral” and gaining traction quickly, like you can on other platforms, and for instance, if a friend of yours starts to follow a brand on Snapchat, you’ll never hear about it, or know about it unless they tell you. This is what makes it more difficult to gain traction on Snapchat and grow a large audience. But that is not to say that it isn’t possible. As a result of the ”limited” nature of snapchat, marketers need other approaches to grow their brand on Snapchat. The most obvious approach that comes to mind is promoting your Snapchat from all of your other social media platforms as much as you can. At least, that’s the way I have grown my Snapchat audience, taking advantage of the audience I’ve already built on Instagram. It’s no secret that us humans love compelling stories. We resonate with them and they impact us on a deeper level. The good news is that the structure of Snapchat makes the platform ideal for storytelling. If you can create compelling and engaging snaps by telling a story through the stories you send, you’ll be able to see lots of engagement. Each video or photo can be a maximum of 10 seconds, and a photo can be displayed for ”infinity”, until people tap next. When you use storytelling on Snapchat, each of your snaps should bring them closer to the grande finale, and finding out what you’ve held as a cliffhanger for some time now. Make sure you grab attention and spark interest by not revealing everything and sharing cliffhangers that encourages your audience to continue watching. No matter where you are doing your marketing, incentivizes work everywhere. I’ve aleready spoken a bit about sharing coupons, but the thing is that there are tons of other approaches you can take to incentivise your audience to continue watching, or to do something for you. The good thing about sharing coupons on Snapchat, though, is that your stories are only visible for 24 hours before they disappear. This means that by sharing coupons every now and then, people learn that they must be active and closely follow your business each and every day, in order to not miss out on anything. The reason you incentivise your audience is because you want them to do something. It can be everything from just completing your story, or it can be to buy from you. Now, for instance, you may want to grow your audience, and by incentivising your existing audience, you can do that! An idea is to ask your friends to tell them about you on Snapchat, and to tell them to add you. When they’ve had their friend(s) add you, tell them to tell what the usernames of them were, a nd if you can see that accounts with those usernames were, you give them the incentivise you promised. This method is great because it leverages your existing audience, and gets them to promote your existence on snapchat for you. Apart from being just another feature that is fun and quirky, the Snapchat QR feature is tremendously effective in helping you work towards the goal we just spoke about, which was growing friends (or followers), on Snapchat. In fact, your QR code is probably the most effective way in doing so. If you’re new to QR codes, or Snapcodes which they are called on Snapchat, they are machine-readable codes that are scanned and read through the camera of your phone from within the Snapchat app. With the help of Snapcodes, users can quickly scan the code of someone and instantly have the account which the code belongs to pop up, allowing them to add them effortlessly. Chances are, you’ve seen lots of people share their snapcodes in emails, on social media, and online a ton of times already, and that’s because it’s one of the most effective and powerful way in growing your Snapchat followers organically. Remember that people don’t want to go through a ton of steps just to do something, and with snapcodes, users can simply add someone with the scan of the app in a matter of seconds. The snapcode to your account, you get by going to the camera screen on Snapchat and then tapping the icon in the top-left corner of the screen. But you can also customise your snapcode here. All snapcodes are unique and connected to a particular account, so you can only use yours – unless you want to promote someone else of course. When customising your snapcode, keep in mind that making changes of things that are needed for scanning will result in it not working, thus harming the user experience of the people trying to add you. 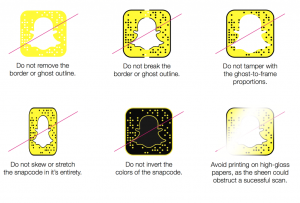 You can only make small changes to your snapcode, and this is changing the color of the body of the ghost – although Snapchat recommends you keeping it white. 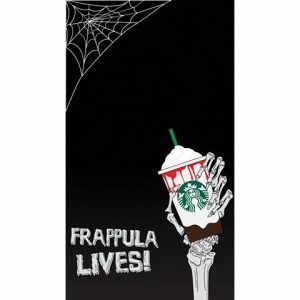 The second change you can make is a change that most brands do, and that is to add your brand logo inside the ghost. This is a simple yet effective way to make your Snapcode more personalised, and clear that it belongs to you. When you’ve created the perfect logo, it is time to start promoting it and using it to grow your audience. The first way is very simple, and you’ve probably seen lots of brands using it. This is taking your snapcode and making it your profile picture across your social media accounts. Doing this will not only increase awareness about your existence on Snapchat, but it will also allow people to take a screenshot of your profile picture and then quick-add by scanning an image from their camera roll (which is the image of your snapcode). There are two ways that people can add you by using the snapcode. The first is to scan through a friend’s phone, and the second is to scan a photo from their photo library which contains a snap code. There really are no limitations to how you can use your snap code to promote your existence on Snapchat, and then ultimately growing your following. One tactic is obviously to implement your code on your business card, which I’ve seen more and more people have started to do. Since Snapchat doesn’t have a regular organic discover page for accounts, it’s impossible to build your audience with the same approach that you have for other social media platforms. Cross-promotion is one of your most powerful weapons to grown four audience. But there is more to it than just sharing a post, or sharing your snapcode and letting people know that they can find you on Snapchat. First off, you obviously want to be leveraging every source you have. And every place where you’ve built some sort of audience. This means your email newsletter, your social media platforms, in store, etc. But when promoting your Snapchat activity, don’t just share your snap code and ask people to add you. Instead, an idea is to do like Gary Vaynerchuk and post Snapchat content on your other platforms. That way, you clearly show what people will get if they add you on Snapchat, and what they are missing out on. And this is a good thing, because you create FOMO in people – Fear of missing out, which means that if you present what people are missing out on if they don’t do something. In this case, take action and add you. It’s a psychology trick and it works tremendously well. This way, you take advantage of the content you have created and show it to a completely new audience who haven’t yet seen the content. In other words, you bring the part of your audience value by providing them with content they haven’t yet seen. See this as a preview of what people will get access to if they add you on the platform. As you’re investing both time and effort into Snapchat marketing, you want to be evaluating your results and see if what you’re doing is actually benefiting you in any way. 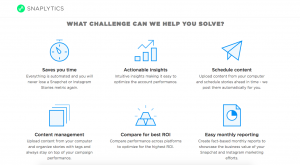 Platforms like Twitter, Facebook, and Instagram all have built-in analytics tools that allow you to track a ton of different metrics from inside the app with easy. With Snapchat however, it’s different. In fact, inside the app, very few metrics are at our disposal, and it offers no built-in analytics tool, nor does it offer us any third-party analytics tool created by Snapchat Inc.
And maybe, that’s one of the reasons why marketers are a little sceptical to the platform. Snapchat is more user friendly than it is marketer friendly to say the least. However, just because there is no built-in analytics tool doesn’t mean that we cannot extract key data that we need to evaluate our marketing results. We can actually extract quite valuable information from Snapchat. The thing is: we need to know what we’re looking for to find it. Let’s start with the most basic metrics that you access easily from inside the app. The first thing you want to look at is the number of views you have on your stories. This can be easily viewed by clicking the story, and then clicking the white arrow on the bottom of the screen. Note that you cannot access it once it has disappeared after 24 hours. Now, you’ll be presented with a list of people who have viewed your Story, as well the total number of people who have viewed it, together with how many people who have screenshotted it, and who those people are. Keeping track of the number of views is important for many reasons. The number of views you have is telling you how effective your stories are, and more importantly, what views/follower ratio you have, as well as how your view count changes over time. For instance, if your follower count increases but your view count decreases, it might be an indication that your audience thinks your stories are boring. This brings me to my next point: followers. On Snapchat, followers are called friends, however the principle is the same. Your follower count is what lays the foundation for social media success, because if you don’t have any followers, you won’t be able to reach anyone, and if you can’t reach anyone, you’ll generate terrible marketing results. Theoretically, the more followers you have, the more views you’ll have, thus improving your marketing results. You always want to strive towards growing your follower count, but if you aren’t, you’re doing something wrong. By looking at the number of screenshots, you can get an idea of how valuable your content is to your audience. Moreover, if you’e sharing coupon codes that demand people to screenshot them, the scroonshot is an extremely valuable metric that tells you how many people had an inteest in the campaign you ran. Based on the follower count you have, you also want to have a look at your completion rate. This is the number of people who completes watching your story, compared to the number of followers you have. In order to do this, you need to share a story that has more than one picture and/or video. When you do, divide the number of views on your last story by the number of users who saw the first story to determine your completion rate. The reason you can do this is because you cannot see the last snap before seeing all the snaps that come before. In order to see your last snap, people have to complete all your other snaps first. This will tell you just how engaged your audience is in your content. An obvious metric to look at is to see if your followers are opening snaps. To do this, just send snaps to your audience manually and see how many opens then and how many responds. This will give you your Snap opening rate. Snapchat doesn’t offer a third-party, nor built-in analytics tool. The good news, however, is that there are several third-party analytics tools for Snapchat that aren’t developed by Snapchat themselves. One of the most popular analytics tools for Snapchat is Snaplytics. Not only does it present you with this information, but it also does it without you having to spend a ton of time searching and collecting it. With Snaplytics, you can look at specific live stories and get detailed information about each and every one. Snaplytics tell you an estimated number of followers you will have, as well as present your daily follower growth rate. Snaplytics also tells you where the most of your followers are coming from. In other words, how people are adding you, for instance through your snap code, add-back, etc. With the help of this, you an see what marketing efforts are generating best results, and thereby focus more on them. The best part about Snaplytics is that it allows you to track information about your comeptiroes. With the help of analytics, you can learn how they are using Snapchat, and how well their content performs. By looking at things like how often your competitors are posting, you can get a better idea of you should be operating on SNAPCHAT. Especially if your comeptiroes are generating great results. Your Snapchat stories are hands down the most important part of Snapchat marketing. It is what will, most of the time connect you with your audience, and allow you to reach and impact them. This is why the metrics of how well your stories are performing is the most important part. I’ve already spoken about view count, retention rate, and and screenshots, so let’s go into some more metrics that can tell us how well your stories are performing. If you go to Snapchat, there is no way to directly see how many friends you have, which in a way is very strange. Instead, to find out how many friends on Snapchat, you have to count them one by one. By keeping track of people who adds you, and more importantly when they add you, you can tie new followers to specific content that your shared which people must have liked. Let’s hope this doesn’t happen, but it can also go the other way. If you share terrible and boring content, people might unfollow you. When you track down a loss of followers and tie it to the content you shared, it is a clear indication that people don’t like your content. Snapchat presents the first 200 people who watch your story by name, and at the top of the list, they present the people who have watched your snap multiple times. Note that if someone watches your snap multiple times, it will still only be counted as one view. But when you have the names of people who watch your stories the most, you’ll be able to quickly identify the people who are constantly and regularly watching your stories. By identifying the people who are most engaged in your brand, you can engage with them and show that you appreciate their support, in order to make them even ore loyal, and ultimately also loyal adovcates of your brabd. Snapchat is a social media platform which (unfortunately) too many marketers aren’t realizing the potential of. While its competitors, mainly Instagram Facebook have a considerably larger audience, Snapchat’s user base is one that you shouldn’t underestimate. Because the thing is, Snapchat isn’t yet equally saturated as other social media platforms, leading to lower competition. As Snapchat grows, however, the platform will be more saturated, it will be harder to cut through the noise, and the cost of ads will increase – just like it has done with Google Ads and Facebook ads name two. I am curious to hear what you think! Is Snapchat a part of your marketing strategy? Yes/no? If no, are you planning to add it to your strategy? If yes, have you found Snapchat to be effective?